By close of business last evening, employers, family and friends of Charles Etukuri, a New Vision senior reporter didn’t know where he was. In the afternoon on Tuesday, Etukuri was picked up by five unknown men who were wearing army uniform, according to the New Vision website. Insiders at the Industrial Area-based media house told PML Daily that Etukuri reported to work and he attended a meeting. “He came late, when the meeting had started. We discuss many issues and after the meeting, we went to get lunch. Charles remained on his computer. At around 3pm, he stepped out the office, and that is when the men surrounded him, grabbed him and put him in the car,” a source said. His boss, New Vision editor in chief Barbara Kaija, also gave the same narrative adding that they have reported the case to police. “We have informed the relevant office about his kidnap,” she added. 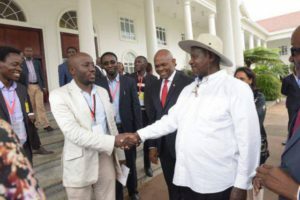 According three eyewitnesses, Etukuri was shoved into a waiting white double cabin registration number UAH 038A, which had reportedly parked near the New Vision offices, since morning. Sources told PML DAILY that Ever since Etukuri joined New Vision ,he has been reporting on security and very close to security operatives. 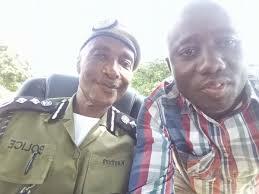 The police however have no information about the abduction, according to Frank Mwesigwa, the Kampala Metropolitan Police commander. It is not yet clear why the New Vision reporter was abducted but Kaija points this at his related stories he had written in the recent past. But also the latest story, Etukuri wrote about the Finnish national, who died at The Pearl of Africa Hotel in Kampala. The story indicated that some ISO operatives were implicated in the death of the Finnish national. Others said he may a victim of the bitter relationship between the police and other security organisations.